A thoughtful gift for the shopaholic in your life. 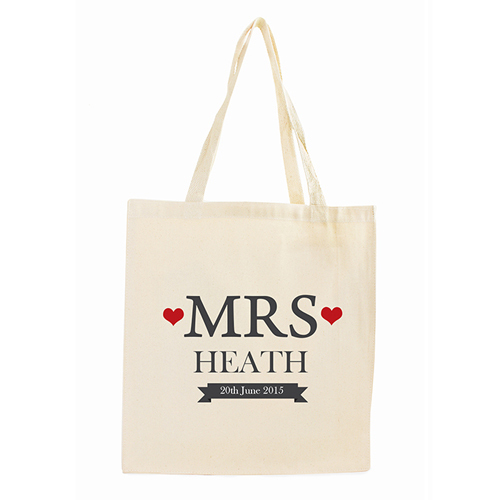 Personalise this Mrs Tote Bag with a name up to 12 characters and a date up to 20 characters. 'Mrs' will be fixed text on this item. Surname will be produced capitalised as pictured. Material is 100% cotton, an eco-friendly alternative to plastic bags. This bag has a 10cm (wide) side and base gusset for added capacity.